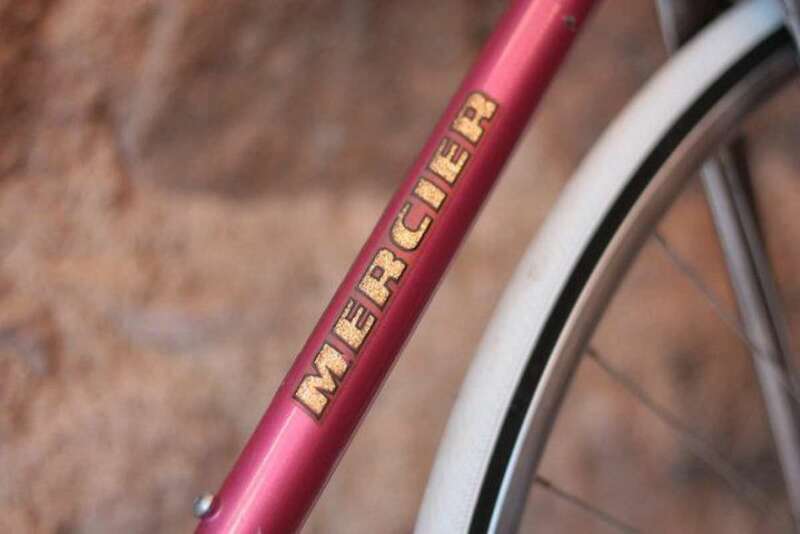 A superb, elegant and eye-catching road bike, from the famous bicycle manufacturer, Cycles Mercier, a French manufacturer, founded in 1919 by Emile Mercier. 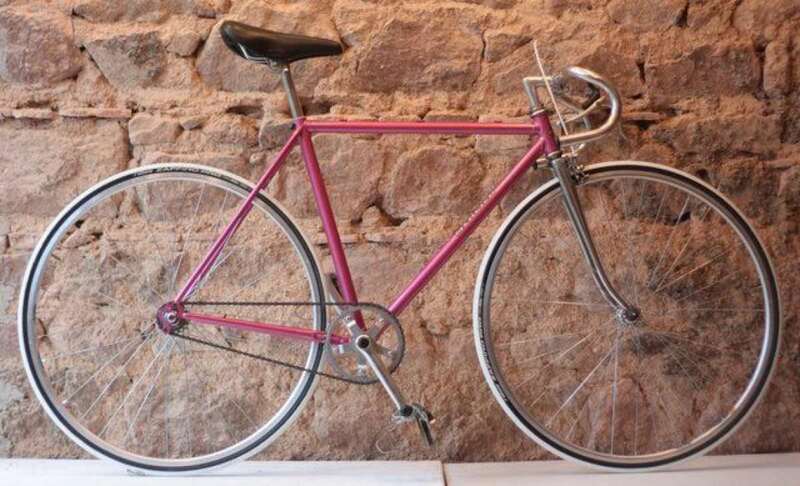 Dating to the mid-1980s and in great condition, the steel frame is in its original, charming pink with the flashy gold Mercier logo. New white tyres have been recently added. Equipped with all original components, this classic racing bicycle made with no compromises, features Mercier frame and fork, CLB brake levers, Guid Handlebar and Rigida Chrina rims and has more recently been converted into a fixie with a flip-flop rear hub. A great example of one of the best French manufacturing traditions. The bike is in great vintage condition; the frame has no cracks and is not bent, albeit a few small scratches from light work. Paintwork and decals are original. The seat has a few light scratches. 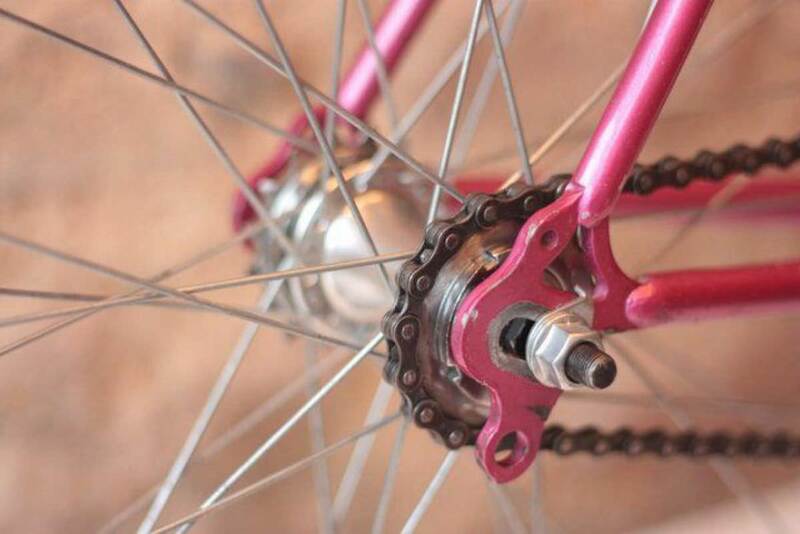 Converted to fixie with original frame, fork, rims, pedals, handlebar etc. All parts have been thoroughly checked and are working fine.